Election Commission recently said that model code would come into force immediately even in states where assemblies have been dissolved prematurely. The K Chandrashekar Rao-headed caretaker government in Telangana had planned to distribute 95 lakh sarees of 80 different varieties at a cost of Rs 280 crore for the Bathukamma festival. But this was not to be as the Election Commission has shot down the Telangana government's proposal, citing that it is in violation of the model code of conduct. 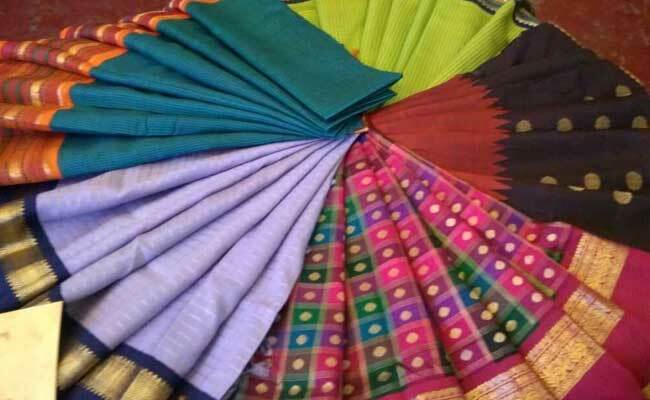 Telangana Information Technology minister K T Rama Rao had recently made the announcement regarding the distribution of sarees, which pushed the Opposition Congress to complain to the Election Commission. In a letter to the chief electoral officer of Telangana, the Election Commission said that it had "not permitted" the distribution of sarees during Bathukamma, the state festival of Telangana. The Congress had on Friday asked the commission to restrain caretaker chief minister K Chandrashekar Rao, his ministers and other functionaries of the ruling Telangana Rashtra Samithi (TRS) from the proposed distribution of sarees as it was in violation of the Model Code of Conduct. Recently, the election body had said that the model code would come into force immediately even in states where assemblies have been dissolved prematurely. Mr Rao dissolved the Telangana assembly last month even though its term was to end next year. The main reason reportedly behind this was that he didn't want his Telangana-oriented narrative to get hijacked by a national campaign centered around Prime Minister Narendra Modi. On September 27, the Election Commission had issued a notice that effectively barred the TRS government from announcing any new schemes until the state assembly polls are held. "The model code of conduct comes into effect immediately after a state assembly is prematurely dissolved," the poll body had said. It clarified that as the government ruling in such circumstances is only playing the role of a "caretaker", the question of allowing the introduction of potentially populist schemes does not arise. A controversy had erupted during the inauguration of the Hyderabad Metro line between Ameerpet to LB Nagar on September 24, when Congress activists protested against the Chief Minister's son -- KT Rama Rao -- being featured on hoardings put up across the city. The distribution of sarees by the government on Bathukamma has been a consistent feature of the TRS' rule in the state. Since Bathukamma is an exclusively Telangana based festival, the saree distribution can be seen as part of TRS' efforts to promote a separate identity for the new state. Even last year, the Telangana government distributed one crore sarees during Bathukumma which cost the state exchequer Rs 222 crore. In some areas, however, the saree-distribution ended in a fiasco as women ended up fighting with each other.